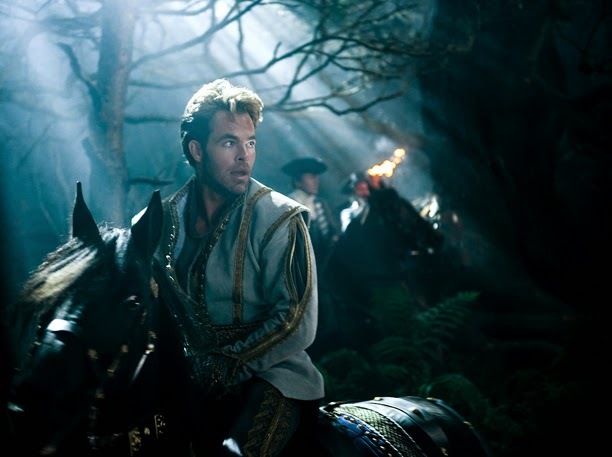 First trailer for "Into the Woods"
First reaction, like the production stills from Wednesday, is that it's beautifully shot. As this is only a teaser, Disney has decided to leave out any singing. For any of you who live under a rock, Into the Woods is a musical. Meryl not surprisingly receives top billing. It'll be a bit tough to campaign her in anything other than lead. So excited for this! 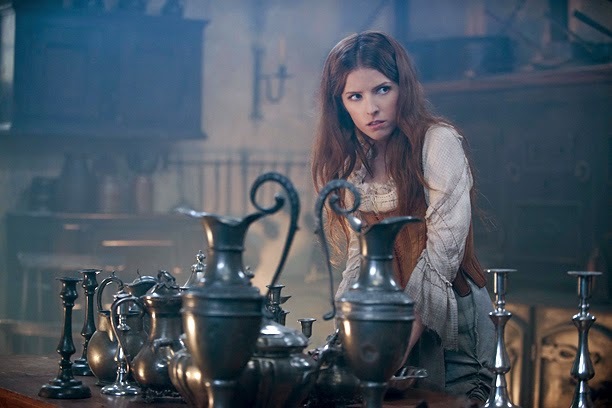 Glimpses of teaser trailer from "Into the Woods"
Well, it's not the full trailer, but last night Entertainment Tonight showed us a few tidbits of what we can expect from the teaser. It appears that the first trailer (which I anticipate being released online no later than Friday) won't include any singing. Very much a teaser. Disney has certainly been particularly stingy on how much they want to reveal. Always leave them wanting more, I guess. 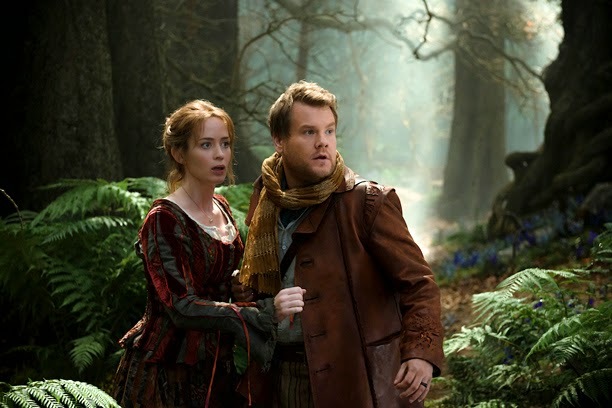 New production photos from "Into the Woods"
These photos, particularly those in the woods, are stunning. Aside from Meryl's my favorite is Rapunzel. I think it's so cool how they've made her hair look like a fraying rope. Regardless of how good the film may or may not be, the set production looks absolutely beautiful. 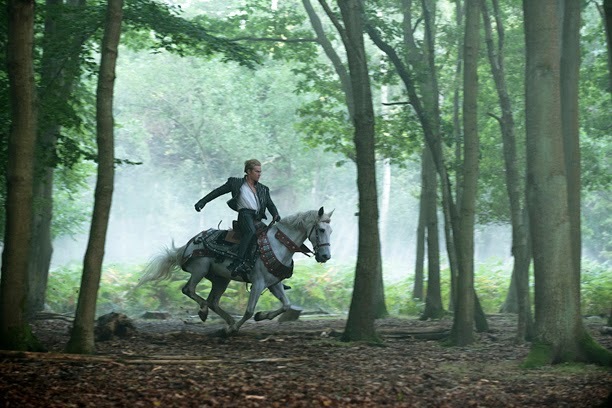 "Into the Woods" trailer expected by week's end? Earlier today someone posted on the Into the Woods Imdb page that he/she works at a theater and the updated "trailer hardrive" just arrived which included the trailer for Into the Woods! Deluxe trailers lists it has being ready for August 1st, and to be played with the films Guardians of the Galaxy, Get on Up and Cavalry. If this is true I'm wondering if we'll maybe even see it released before Friday. Evidently the running time is 1:45. Fingers crossed we see it within the next couple of days! 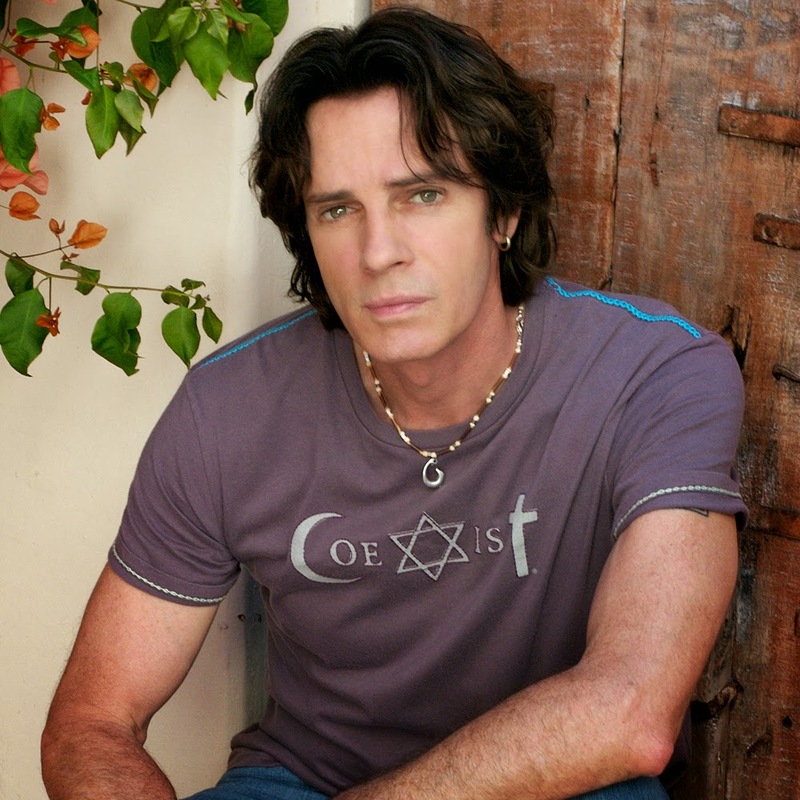 Rick Springfield to join "Ricki and the Flash"? Evidently, Rick Springfield had to cancel an upcoming concert in order to fly to New York for a script reading of Ricki and the Flash. Director Jonathan Demme had recently revealed that there's a role in the film of a man who plays Meryl's love interest, himself also a rocker. Seems reasonable that this may in fact be the role Springfield is set to portray. I've never seen him act, but it's widely known that he had/has a recurring role on the soap opera General Hospital, so it's not like he's a total novice. Interested to see if this pans out for him and the film. Jonathan Demme on "Ricki and the Flash"
Now, I’m in heightened pre-production on a feature film, Ricki and the Flash, which we’re going to start shooting on Oct. 1. It’s a great script by Diablo Cody, and Meryl Streep, Kevin Kline, and Mamie Gummer are in the cast. It’s a rock ’n’ roll driven family drama/comedy. So Meryl plays a rocker? Who did you model her character on. Meryl plays Ricki and she’s the rocker. Kevin is the ex—the abandoned husband who lost Ricki to rock ’n’ roll. In our story, they come back together again under grave family circumstances. There’s another part we’re looking to cast of the guitarist who really wants to be Meryl’s boyfriend. Meryl, who is as we know a terrific singer, is a rock ’n’ roller. She loves rock ’n’ roll, and is taking a very personally-crafted approach to Ricki. Ricki’s of a generation of people like Joan Jett and Chrissie Hynde, but I think this is going to be a very unique act. Well, I guess we can consider that concrete verification that Mamie Gummer is in fact going to play Meryl's daughter. We also get a little more specific info about the kind of persona Meryl may try to convey based on Demme's Joan Jett reference. Very intrigued to see what our girl delivers. Ricki and the Flash is set for a June 26th release next year. Top 10 Streep performances according to "Watch Mojo"
Strong cases could be made for Out of Africa, Postcards from the Edge, August: Osage County, Ironweed, Angels in America (Ethel), One True Thing, The Hours, The French Lieutenant's Woman, The Manchurian Candidate and The Deer Hunter. I actually happen to love her in Plenty, The River Wild, Prime and Music of the Heart as well. As I said...next to impossible. What do you guys think? New featurette for "The Giver"
Hey folks. Just got back from a few days of family time with Joe in Madison. Noticed there was a new featurette for The Giver released on Thursday which includes a fair amount of screen time for Meryl. Just about four weeks until it hits theaters! B roll from "The Giver"
The Giver opens one month from today! 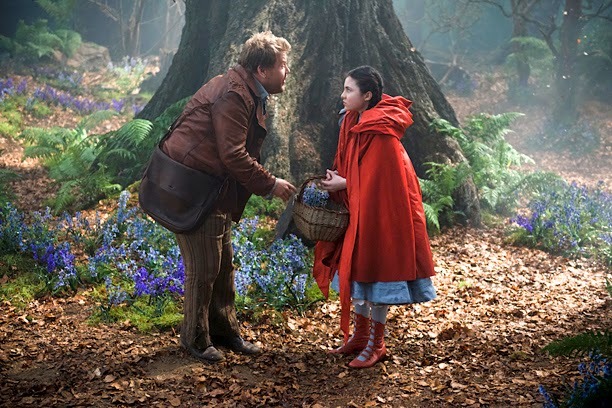 Reshoots for "Into the Woods"? Well, this may help explain why we haven't seen a trailer yet. 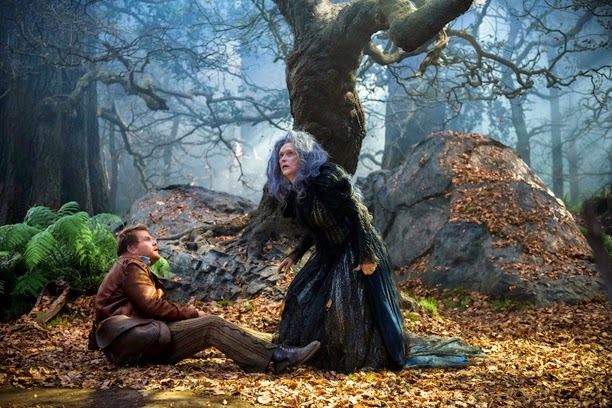 Broadway World has posted an article quoting a production runner for Into the Woods, who states that the film will undergo a month's worth of reshoots. To be honest, I'm not exactly sure what to make of this. We have no word on which scenes are being shot. These may be completely new scenes and not actually "rehsoots" of already completed footage. Regardless, it paints an ominous picture in my mind. I'm sure many people will hypothesize that these reshoots are in response to the outcry from purists of the original musical after spoilers were revealed by Stepehen Sondheim suggesting unfavorable changes to the story. I have a hunch that's not the case. What's probably more likely is that they weren't happy during the editing process and need to modify a couple of small sections. Even if this ultimately provides for an improved film, it still makes me nervous. Stay tuned. As I anxiously await a trailer for Into the Woods (will it ever happen?! ), there are a few items of interest worth mentioning. It's been kind of a slow week, and normally most of the things I'm about to cover wouldn't make a blog post, but as there are three main topics to cover, I'll throw 'em together. First and foremost, we have video of Kevin Kline confirming that he will be joining Meryl as her husband in Ricki and the Flash. Kline indicates that he'll begin work in October, which doesn't necessarily mean that Meryl starts the same month. Regardless, we know shooting is likely going to begin early fall. Hillary Clinton went on record this week saying that if there were a film made about her life, she would "of course" want Meryl Streep to play her. This is no surprise and has been suggested by others numerous times. It just so happens that a Hillary Clinton biopic is in my future projects list that I've laid out at the end of my reimagined history. Finally, The Giver Lois Lowry mentioned a few thoughts on the casting of Meryl as the Chief Elder in the upcoming film adaptation, as well as how her presence may be helpful as a box office draw. The film opens next month. By this time next year, I'll have seen five new Streep movies, she'll have filmed Master Class, and hopefully we'll know for sure if The Good House is happening. It's going to get busy! Several months ago, in preparation for my reimagined film history, I decided to watch Dark Matter again. This was a picture that for the most part was shelved due to the proximity of its intended release to the Virginia Tech massacre. As the film depicts a disgruntled , ultimately violent Chinese graduate student, it's understandable that it would be in poor taste to have it playing in theaters after the shootings. It's too bad, as Dark Matter is a fine film, and one which I originally didn't quite understand why Meryl decided to join. The story surrounds Chinese graduate student Liu Xing (played by Liu Ye) develops a dissertation on the theory of dark matter, a scientific model which in his mind explains how the universe works. Xing works under the tutelage of Professor Jacob Reiser (Aidan Quinn), and is acclimated to the American way of life by wealthy donor and Sinophile, Joanna Silver (Streep). As Reiser begins to feel that Liu is getting a little too big for his britches, the promising young theorist is told to redo his calculations, is denied his doctorate and begins to lose control. Silver is looked to as a refuge, as she's championed his work, but even she cannot persuade the envious Reiser. Liu goes on to shoot both Reiser and the other Chinese grad student whom Reiser and his colleagues favored. Again, far too similar to the tragedy at Virginia Tech to release in theaters around the same time. Streep filmed this movie summer around June 2006, right as both The Devil Wears Prada and A Prairie Home Companion were released in theaters. No one knew how successful Prada was going to be, so Streep had her 2006 shooting schedule peppered with four supporting roles in non-Oscar bait. Although I'm sure she'd say Dark Matter was a good script, my hunch is that she was possibly drawn just as much by the prospect of learing T'ai chi and speaking a bit of Mandarin. When else would she have the opportunity to try an East Asian language?! Knowing her preparation tendencies, I'm guessing she became a master at the martial art and semi-fluent in Standard Chinese. As a first-time director, Chen Shi-zeng did an ok job. With a budget of about $5, I'm sure it's challenging do everything one wants to onscreen. The acting is fantastic and it's actually a touching, yet tragic story of how a brilliant young man saw no solution but violence to deal with his professional rejection.